Business Culture or Lean Culture? 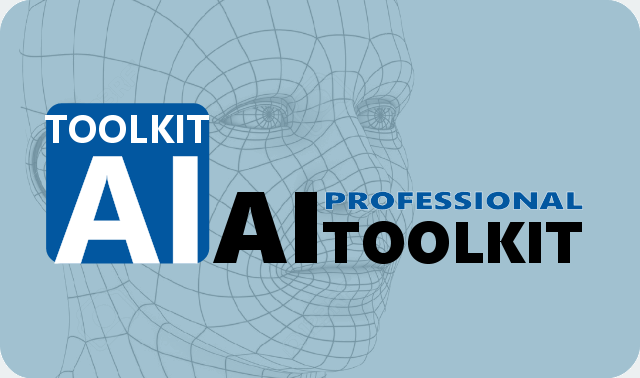 You can download the AI-TOOLKIT for free (https://ai-toolkit.blogspot.com/p/ai-toolkit.html) which contains several easy to use software packages and experiment with AI capabilities in your business. The main aim of this case study is to demonstrate the different applications of Artificial Intelligence (machine learning) in business process improvement specific to the Healthcare sector. However, many of the principles and ideas applied in this case study are also applicable in many other sectors! 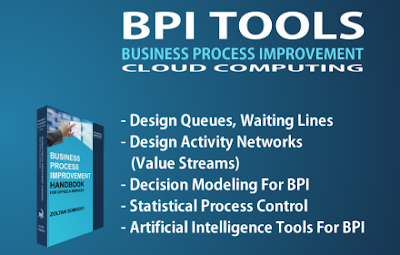 In case you would like to try the in this case study modeled AI or you would like to apply the principles learned from this case study in your own project then you can do so by using the free Decision AI Google Sheets Add-on (part of the BPI Tools package; used in the Post-Operative Patient Care Process case). 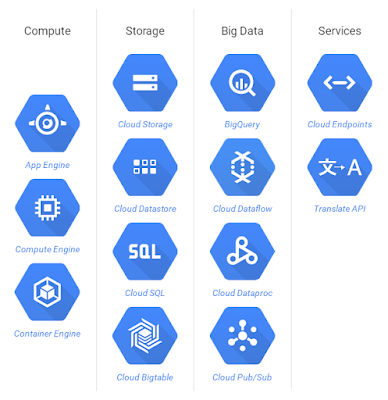 The Decision AI Google Sheets Add-on is developed in cooperation with Google. 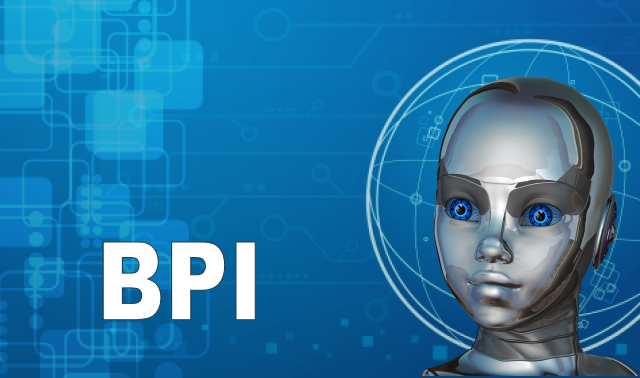 If you want to read more about how the AI works then look at here: Artificial intelligence in business process improvement. 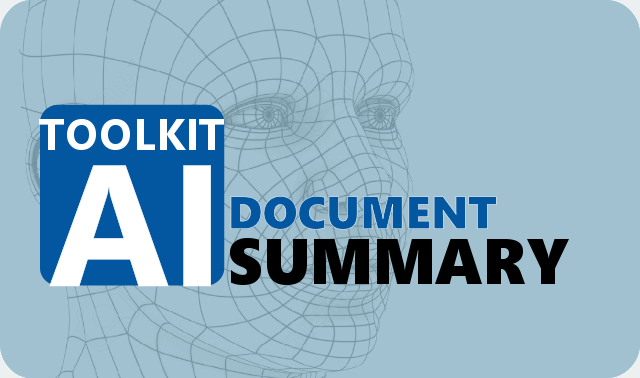 For the second case study (Breast Cancer Diagnosis Process) you need the AI-TOOLKIT software package which is a MS Windows high performance and extended desktop version of the Decision AI Google Sheets Add-on. 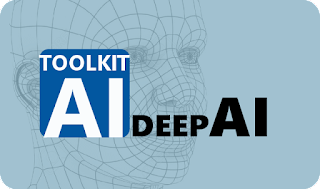 The AI-TOOLKIT can handle a lot of data, it is much faster than the Google Sheets Add-on, it has no AI training time limit, it has automatic model parameters detection and it has more AI modeling options (which are e.g. needed for the second case). The patient needs to be transferred to intensive care (IC). In order to be able to improve this process (make the process much faster and more reliable) the hospital needs to collect all necessary data which is needed for making this decision for many patients and use this data to train an AI model. After the AI model is successfully trained a hospital employee (e.g. a nurse) can simply feed the specific patient data to the AI model and the AI will tell instantly what should happen with the patient. This is much faster because the waiting time for the medical doctor is eliminated, in many cases the decision is more reliable because the AI does not get tired or confused by external factors, the medical doctor or specialist can do other important things and as last but not least the patient will be more satisfied with the faster process! Several important reasons to implement such a process improvement! A subset of the data which is chosen to train the AI about the post-operative patient care process can be seen in the table here under. The data is real patient data collected in a hospital (see reference at the end ). 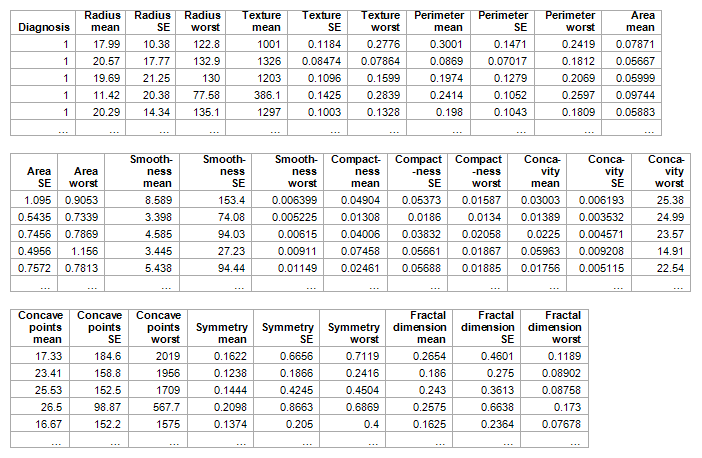 The different attributes/parameters are explained below the table. Most of the numerical attributes, as for example the temperature, are grouped and converted to textual classes. This is one of the tricks which can be used while training an AI model. You may of course also use numerical values but this decision may influence the choice of the AI model! In many situation it is sufficient to group the data into well chosen textual ‘classes’. Decision AI can handle both textual and numerical attributes and therefore we could call it a mixed attribute AI. 8. COMFORT: the patient's perceived comfort at discharge, measured as an integer between 0 and 20. GC: the patient must be sent to the General Care hospital floor. The data can be downloaded here: Post-Operative Patient Care Process Decision AI data set. The data file has a simple tab separated format which can also be read by Google Sheets or any other spreadsheet software. Please read the Decision AI Google Sheets Add-on webpage for more info about how to use the software. You can try yourself training the AI with the free Decision AI Google Sheets Add-on! The Add-on contains a fully functional AI but the AI model training time is limited to maximum 6 minutes (enough for the processing of several thousands of input data). After feeding the data to Decision AI (in a simple Google spreadsheet) and training the model, the AI indicates a model accuracy of around 93%. This means that the model/problem learned by the AI fits 93% of the input data or with other words the AI will make a good decision in 93% of the cases. This is a quite good accuracy, especially taking into account that there are only a relatively small number of records, but the accuracy could still be improved by adding more data or even more attributes! A subset of the AI model visualized by Decision AI (Google Sheets Add-on) can be seen here above. How the AI develops this model is explained in the document here: Artificial Intelligence in Business Process Improvement. 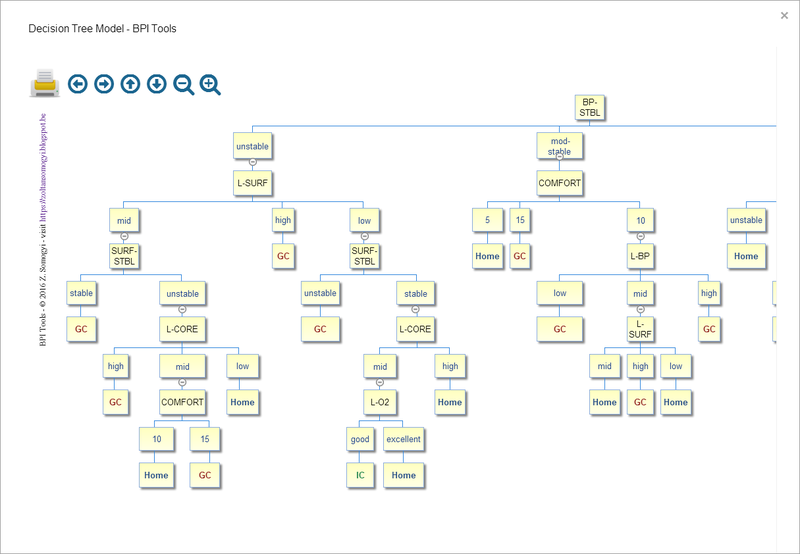 The reason for building such a hierarchical tree model is that the AI then can search for the requested answer very quickly by traversing the tree from top to bottom. 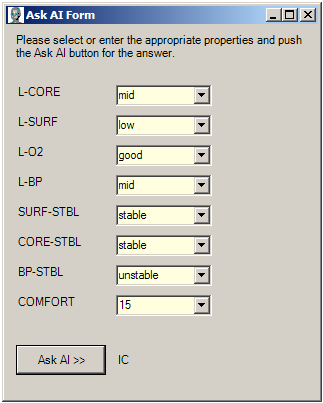 The above form could be the form presented to a nurse who must enter the appropriate attributes and push the Ask AI button to get the answer from the AI. Please note that this form is produced automatically by Decision AI and not included in the Google Sheets Add-on. 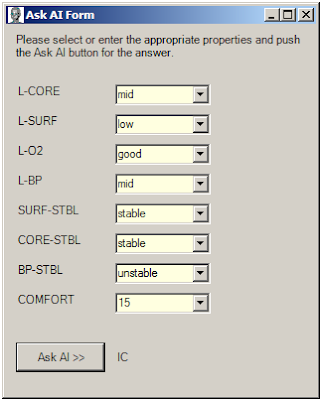 The AI in the Decision AI Google Sheets Add-on can answer several questions (presented by an attribute set) entered into a Google spreadsheet at once (this option is also available in the Desktop version). As you can see, training the AI and asking the AI a question is very simple. Anybody can operate the AI with some basic computer knowledge! The complex machine learning algorithm is hidden and most of the parameters are selected automatically by the AI. An other important advantage of Decision AI is that it can learn any type of problem from any discipline or business sector! Nothing needs to be changed. The capabilities of the AI as e.g. the accuracy of making a decision depend completely on the input data used to train the AI! The careful selection of the appropriate attributes and data records is therefore very important. If you look at the data you will see that there is only 1 case included where the patient has to be transferred to intensive care (IC). This is of course something that could cause a problem. You should make it sure that from each decision there are a representative number of occurrences in the data set! Remember that the AI needs to learn a specific problem or phenomena and in order to learn something well there is enough information needed! What is enough is sometimes obvious (all possible combinations covered) but sometimes, in case of more complicated models, it needs to be decided by testing the AI model. Training and then testing the AI model are both very important steps in the AI learning process! The second case is a more complicated case. What we will improve in this case is the process to determine if a patient has breast cancer or not. The patient goes through several process steps from which one step is where a digitized image of a breast mass is created and analyzed by the computer and the so called cell nucleus characteristics are measured and recorded. By studying and comparing the characteristics of the cell nucleus in the cases of many patients, who have or do not have cancer, and feeding the collected data to an AI model, the AI can learn which characteristics result in cancer of the patient. The necessary AI training data attributes are decided by specialist and computed from a digitized image of a fine needle aspirate (FNA) of a breast mass. Building and using an AI model in the decision process not only decreases process time significantly but it also makes the process more reliable because of the complicated attributes/measures used in the decision making process. An other advantage could be that the input data could automatically be fed to the AI and by this eliminating a very time consuming manual process step. A subset of the collected data can be seen in the table here under. Two digitized images with the cell nucleus present can also be seen below. Each record consists a series of attributes and the final diagnosis whether the patient with these attributes has cancer (malignant tumor) or not. The aim is to collect all possible combinations of the attributes in a way that the AI can be trained well and that it then can decide very accurately whether the patient has breast cancer or not. The mean, standard error, and "worst" or largest (mean of the three largest values) of these features were computed for each image, resulting in 30 features. The data can be downloaded here: Breast Cancer Diagnosis data set. The data file has a simple tab separated format which can also be read by Google Sheets or any other spreadsheet software. Because of the large amount of continuous numerical data this case is better modeled with a special numerical AI model present in the AI-TOOLKIT but not in the Google Sheets Add-on. You can however train an AI model with the Decision AI Google Sheets Add-on also by defining the numerical attributes as ‘Number’. Read the Decision AI web page for more info about how to do this. In order to be able to use the fully numerical AI model all attributes need to be converted to numerical values. In our case there is only one non-numerical attribute and that is the Decision variable which is the Diagnosis whether the patient has breast cancer or not. The two possible options can be simply converted to Malignant=1, Benign=2. After preparing the input data in the appropriate format (tab separated values) the AI model parameters need to be optimized. 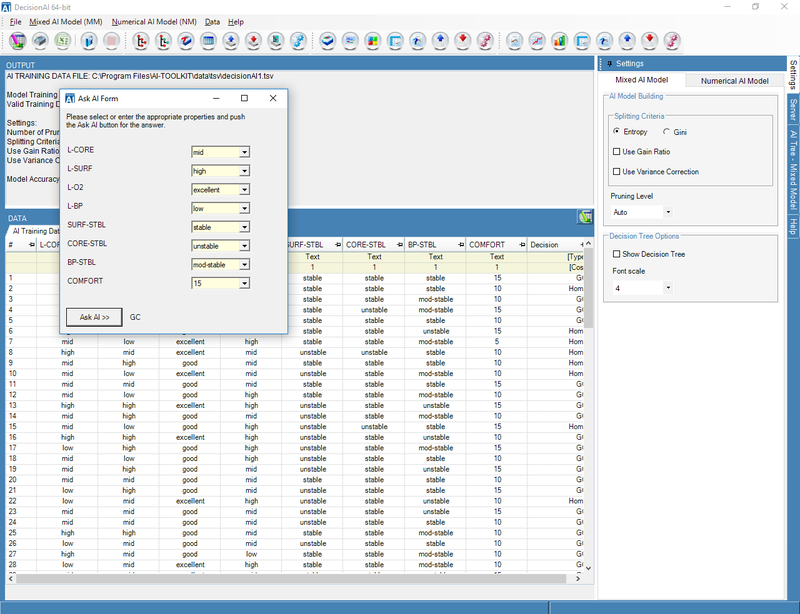 This can be done automatically by the software by executing the Optimize Parameters command from the menu which will first read the input data prepared in the former step. Decision AI will then report the best parameter combination for the input data and type of AI model. After entering the optimal model parameters in the settings the AI model can be trained. When the AI is ready learning the problem Decision AI will let you know that the accuracy of the model is 97.9 %. In nearly 98% of the cases the AI will be able to predict correctly whether the patient has breast cancer or not. This is a very good accuracy but do not forget that the model still needs to be tested with an appropriate number of attribute sets/data records in order to make sure that the AI is learned enough about the phenomena! The trained AI model can be used manually for making decisions or, as it was already mentioned earlier, the input data could be fed to the AI model automatically and the results could also be collected automatically. The AI algorithm could even be integrated into different digital devices in order to have an all-in automatic analysis possible. The attributes and the data records (attribute sets) used to train the AI model are very important. The capabilities of the AI will depend on the data it gets for learning a specific phenomena. You can of course always add more data and/or attributes and re-train the AI. Extensively testing the AI is also very important in order to make sure that the AI is trained well in all aspects of the studied phenomena. 1. Post-Operative Patient Data Set: Sharon Summers, School of Nursing, University of Kansas. Medical Center, Kansas City, KS 66160. Linda Woolery, School of Nursing, University of Missouri, Columbia, MO 65211. The biggest high-tech companies like Google, Apple, Microsoft, etc. are recently started to invest a huge amount of money in Artificial Intelligence. There are already several application based on AI machine learning built in some of the products you are probably also using daily. And machine learning started to spread also to other industries and sectors. Since computers were invented we are trying to make (program) them to learn and to improve automatically. This is what we call Artificial Intelligence or machine learning. The possible applications of AI are endless from robotics to e.g. 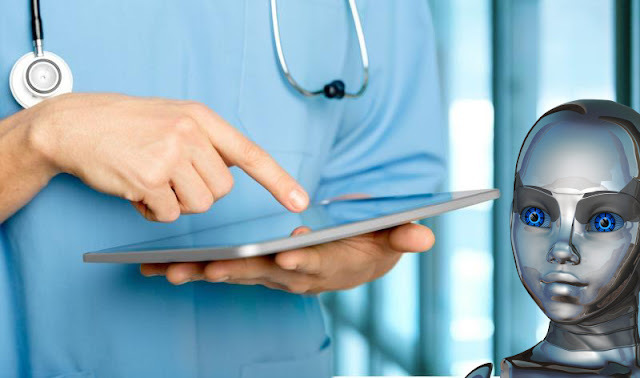 learning from existing medical records in order to decide on treatments of existing or new diseases or optimize business processes based on specific process patterns. Descriptive Modeling - with Knowledge Management as one of the most important applications. In this type of modeling all attributes are known and by presenting a ‘question’ (an attribute set) to the AI the AI will give the ‘answer’/the target attribute. Predictive Modeling - in this type of modeling the aim is that the AI identifies an unknown target/decision depending on a set of input attributes. The AI does this by first learning about the specific process or phenomenon by studying a collection of attribute sets. In both cases we first need to develop an AI Model and then use the AI to identify quickly the target attribute or decision. The model development process is described in the next section. The first step in the model development process is the design of the AI by deciding which data to collect (input data). This step is crucial because the capabilities of the AI will depend on it. You need to collect (e.g. by measurements, interviews, etc.) all relevant attributes/parameters which are necessary to describe the specific problem you want the AI to learn. E.g. in a hospital if you would want the AI to help you to decide which specific next step the patient needs to take (go home, intensive care, general care, etc. ), then you would collect all data about many patients which are necessary to make this decision (patient's temperature, blood pressure, perceived comfort, etc.). By feeding all these data to the AI together with the right decisions you can train the AI and use it later to help you make the right decision fast. Very complex issues can be decided in this way quickly with great confidence. The accuracy of the decisions will depend on how good you train the AI. The input data is a collection of records. Each record is characterized by several attributes (attribute set) including one special target attribute or decision. The attributes can be discrete (categorical with a fixed/limited number of values) or continuous (real number) values. There are two types of models depending on the type of the target (decision) attribute. When the target attribute is discrete (category) we speak about Classification modeling, and when the target attribute is continuous (real number) we speak about Regression Modeling. The example on the above image shows a dataset collected for a very simple AI model which is used to decide whether to play golf or not. 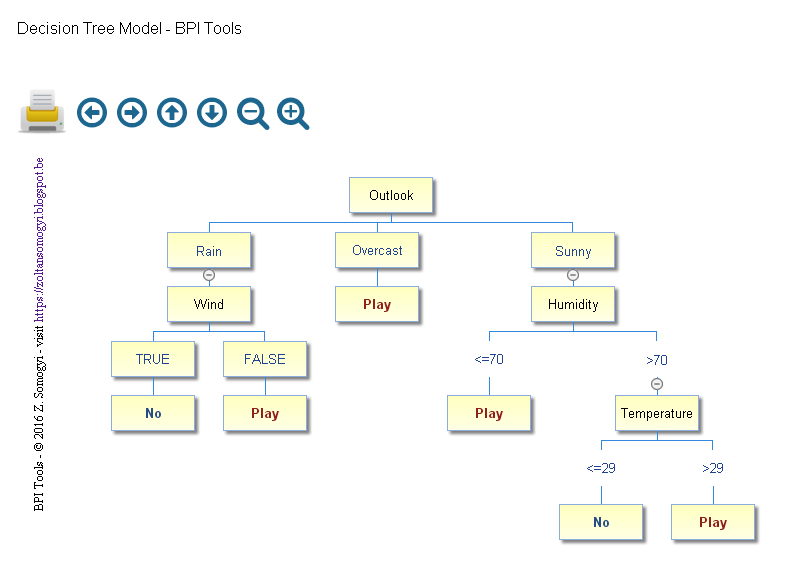 The attributes are Outlook, Temperature, Humidity, Wind and the target or decision attribute is in the last column with two discrete values Play and No. Each attribute has two or more values. E.g. Outlook can be Sunny, Overcast or Rain which are a fixed number of discrete values (categories, designated with [Type]=Text in the example). 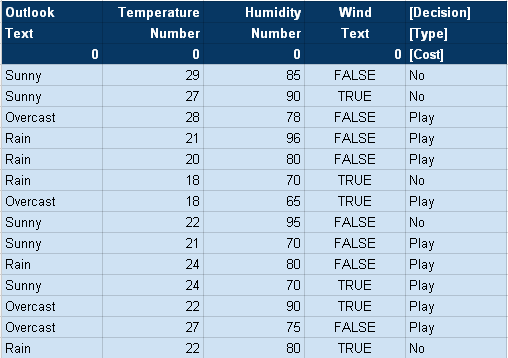 The Temperature is a continues attribute with many different possible values (real numbers in a range, designated with [Type]=Number in the example). The second step in the model development process is data collection and the division of the collected data into two parts. One part (the larger part) will be used to train the AI and the other part will be used to test/validate the AI model. By testing the AI you are able to see how accurate the decisions are. In case the accuracy is not acceptable you need to collect more data or even introduce extra parameters (=redesign the AI). The third step is the training of the AI Model (will be explained in detail in the next section) after which the AI model is validated. The validation provides the accuracy of the AI model. If the accuracy is acceptable the AI model is ready. If it is not acceptable the AI needs to be redesigned which can mean the collection of extra data or even the addition of extra attributes. The accuracy of the AI model is calculated simply by dividing the number of correct predictions with the total number of predictions in the testing/validation data set. One of the widely used techniques to build an AI model (learning algorithm) is by constructing a decision tree. An AI decision tree can be thought of as a series of appropriately developed questions and answers which follow-up each other. The tree starts with a root node (‘question’) and continues with several nodes (‘answers’) after which a new node/question is added (internal node) at all of the leaf nodes (answers) which become an internal root node and so further. The AI model building algorithm reads the training data and step by step builds the AI decision tree by carefully deciding on the different nodes with a top-down divide an conquer strategy (root node, internal nodes and their hierarchy). A statistical property (the so called Information Gain) is used to classify the attributes and to build the decision tree from the data. Every time a node needs to be chosen the attribute with the highest information gain (the largest split over the input space) is used. The information gain can be calculated in many different ways with the help of the so called Entropy, the Gini index or the Gain Ratio, etc. The Entropy and Gini favor attributes that have a large number of discrete values while splitting the data, in case this provides a problem (low model accuracy) the Gain Ratio should be used. The explanation of the detailed calculation procedure and equations is not the aim of this article. You may be interested in the software tool Decision AI, a free Google Sheets add-on (part of the BPI TOOLS package) in the software section here: Decision AI. Decision AI contains all of the here above explained algorithms and more! As a last step the AI tree model is pruned in order to remove all unnecessary nodes. In case you use the AI model for knowledge management you may prefer to not prune the tree! 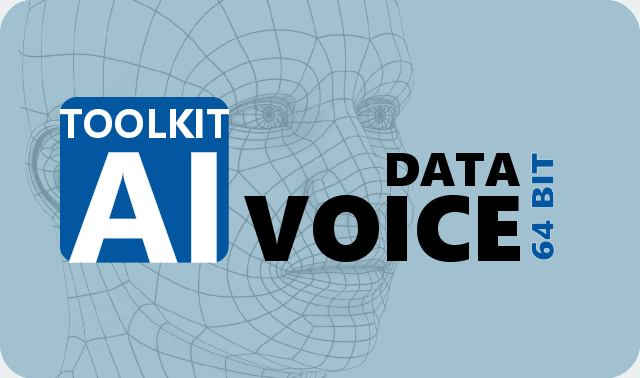 You find more info on the AI-TOOLKIT website. Artificial Intelligence (machine learning) business process improvement tools can be used (after training the AI) to quickly make decisions or gather knowledge about many different often complex matters as e.g. …etc. the applications are endless. 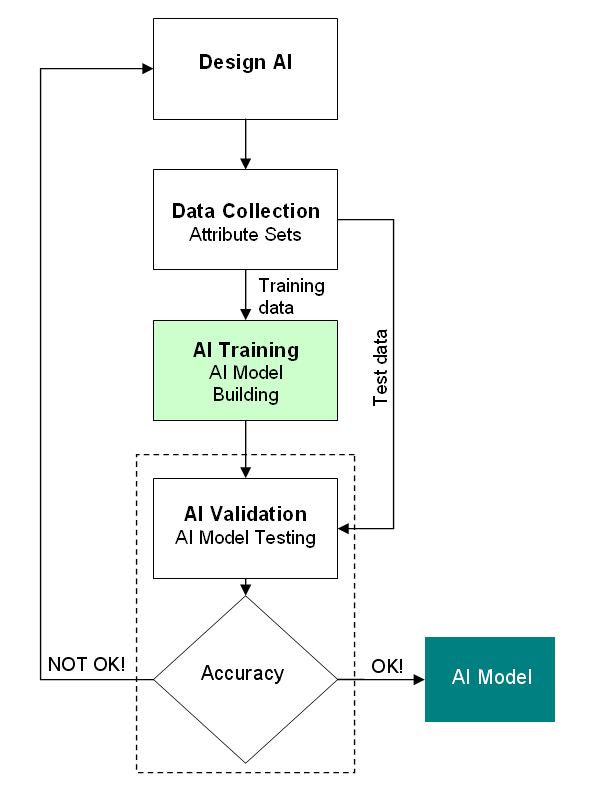 The AI model can also be used for non business process improvement decisions as for example whether to buy a stock on the stock exchange (with well defined AI training parameters), to quickly classify specific species or plants depending on some characteristics, data mining, and even to quickly recognize specific illnesses depending on several symptoms in healthcare, … etc. If you are still reading this article then you may be interested in the software tool Decision AI, a free Google Sheets add-on (part of the BPI TOOLS package) in the software section here: Decision AI. Decision AI is very easy to use, it hides the complex algorithm of AI machine learning and with just a few input parameters you can make great improvements to your decision making process and accuracy. People make often mistakes because of complex issues depending on many parameters. A well trained AI will not make a mistake because of complexity but only if it is not trained well enough by you! Google Sheets is a free and powerful MS Excel like spreadsheet software but working in the cloud on the Google cloud platform. You can reach it from everywhere with your internet browser. 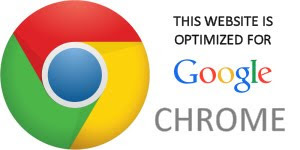 For the best user experience I recommend to use the free Google Chrome browser. Google Sheets can be integrated with the Google Compute Engine for solving complicated mathematical models (see the Specialist Allocation Tool here under). TIP: You can also use Google Sheets on your tablet! Instead of using the Google Sheets App use the Chrome web browser on your tablet to start Sheets. After navigating to the Google Sheets website (https://sheets.google.com) click on the top right menu (3 dots) in Chrome and check the 'Request desktop site' check box. In this way you will be able to use the full functionality of Google Sheets on your tablet! 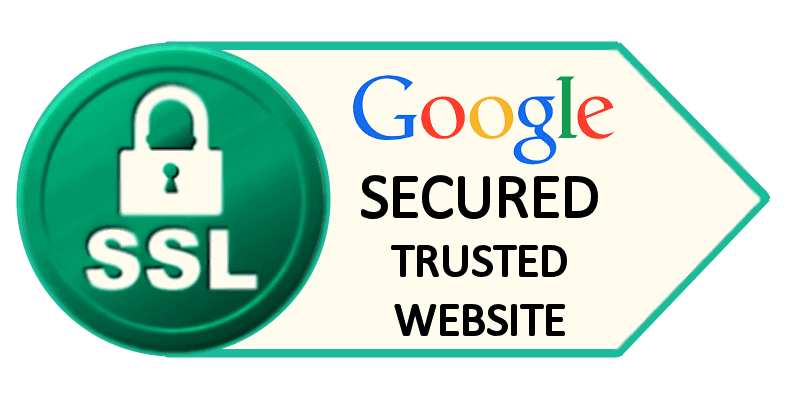 Please visit the Google Sheets website for more info about Google Sheets! There is often a lot of uncertainty while trying to improve business processes. Often many things need to be changed but it is difficult to know what exactly needs to be changed, when to change, how much to change, etc. 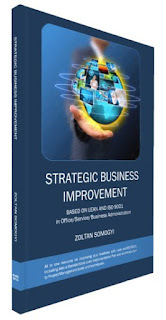 It is also often difficult to asses the overall progress of the business and process transformations. Michael Hammer  has developed an auditing framework based on the observation of hundreds of companies. This framework which he called ‘The Process and Enterprise Maturity Model’ (PEMM) identifies two distinct groups of characteristics (Process Enablers and Business Capabilities) that are needed for business processes to perform well and to sustain that performance. 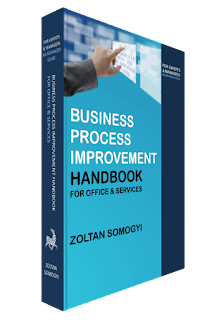 These Process Enablers and Business Capabilities provide an effective way for businesses to evaluate process-based transformations and they also give important directions about how to improve. Some experts argue in the literature about whether it is sometimes needed to extend the PEMM framework with some extra elements depending on the business in question (e.g. elements which link the process improvements to financial results or to the strategy of the organization, etc.). If you feel that there is anything which is still important to your organization then include this in your personalized audit also. There are a set of process enablers which are evaluated by strength (process design, people/performers, manager/owner, infrastructure, process metrics). There are four strength levels: P-1, P-2, P-3 and P-4. Each level builds on the proceeding level. The strength level of the enabler defines how mature a process is or how capable it is to deliver higher performance over time. The lowest strength is always the strength of the whole process, or with other words the strength of the weakest link is the strength of the whole process. If e.g. most of the enablers has a strength level of P-3 but there is one with P-1 then the strength of the whole process is P-1! This also means that it does not have any sense to improve one enabler (one aspect of the process) to the maximum strength level but instead to proceed step by step and incrementally improve all of them. Each strength level is scored not by ‘yes’ or ‘no’ but by largely true (means that the strength level statement is at least 80% correct), somewhat true (between 20% and 80%) or largely untrue (means that the strength level statement is less than 20% correct). In case you use more than one task group (2-3) to audit a process separately then do not average the results but bring the groups together and agree on the final score! According to Michael Hammer  in order to be able to develop high-performance processes organizations need first to develop Business Capabilities or supportive environments in the following four areas: Leadership, Culture, Expertise, Governance. 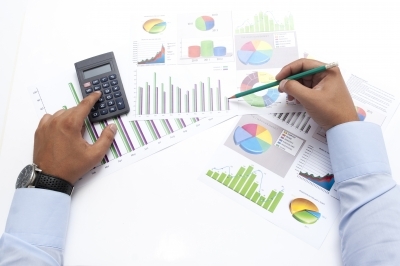 In the Business Audit these Business Capabilities are evaluated by strength. There are four strength levels: E-1, E-2, E-3 and E-4. Each level builds on the proceeding level. The strength level of the Business Capability defines how mature an organization is or how capable/ready it is to support/host process-based transformations. The lowest strength is always the strength of the whole organization, or with other words the strength of the weakest link is the strength of the whole organization. If e.g. most of the Business Capabilities have a strength level of E-3 but there is one with E-1 then the strength of the whole organization is E-1! 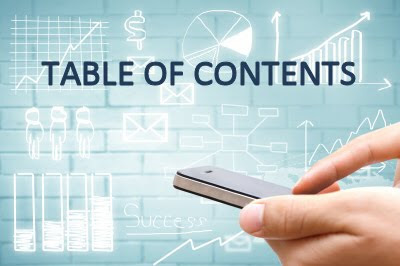 This also means that it does not have any sense to improve one Business Capability to the maximum strength level but instead to proceed step by step and incrementally improve all of them. In order to be able to advance with a process enabler or with the whole process to P-1 level, the organization needs to have all Business Capabilities on E-1 level! When all Business Capabilities reach the E-2 level then the organization is ready to advance the process enablers to P-2 level. Etc. Each strength level is scored not by yes or no but by largely true (means that the strength level statement is at least 80% correct), somewhat true (between 20% and 80%) or largely untrue (means that the strength level statement is less than 20% correct). In case you use more than one task group (2-3) to audit the business capabilities separately then do not average the results but bring the groups together and agree on the final score! In case your organization is not yet ready for an organization wide transformation program then you may also apply the Business Audit to one division or business unit only. One of the ways many companies are improving and restructuring their organizations is by introducing management operating systems based on the ISO9001 quality system standard. Very simply put ISO 9001 is about implementing and documenting efficient processes; monitoring them for quality and continually improving the effectiveness of the system. 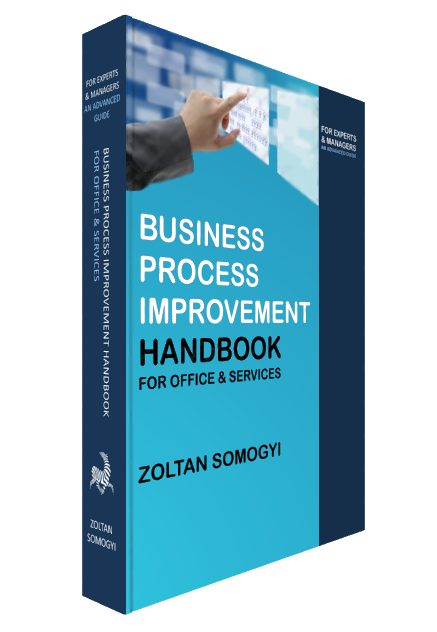 However, the ISO 9001 standard does not tell you what an efficient process is and how to transform your processes in order to become efficient! And this ‘gap’ in the standard can be filled in with the PEMM framework and with business process improvement methodologies as e.g. the so called Lean process improvement tools and techniques. There are several similarities between PEMM and ISO 9001 as for example the process documentation aspect, management responsibility, governance, etc. All of the key processes have been identified (process approach)? All interrelations between these processes have been identified (systems approach)? All key process have been documented well in order to assure their effective operation and control? Are the structural and documentation requirements met? The control of documents and data records has been defined well? All customer and regulatory requirements have been defined well and are met? Read more about these and other subjects in my books and in my blog! Lean is based on a long-term philosophy containing a set of methods and tools and with the aim to conduct work on a more clever way, to improve productivity, to better organize processes, retention management, knowledge management, to build a better company culture, etc. Lean was first introduced in the automotive sector as the Toyota Way by Toyota Motor Corporation many years ago but today it found its way into several other sectors with success. While following discussions about lean I hear regularly the following: “I have told them to introduce the lean culture but they were not enthusiast about it.” or “I suggested to introduce some lean techniques in order to start the lean culture in our company”, etc. What is wrong with these sentences? In order to fully understand this let us first see what culture really means. My definition of ‘culture’ is as follows. We can speak about Business Culture, Coaching Culture, Lean Culture, etc. if a company is in a state where some well defined actions become a habit. This state can be reached by systematically applying (in a formal or informal way) some pre-defined rules throughout a process for a ‘long time’. The result may be a good culture or a bad culture depending on the process leading to this state or culture. I believe that the highest probability for success is when a well defined formal process is implemented till the ‘good culture state is reached. The expressions ‘business culture’, ‘coaching culture’ or ‘lean culture’ thus demonstrate that it is about something structural and strategic and not something that is ‘just’ being started instantly. My answer to the title question “Business Culture or Lean Culture?” is that I rather prefer to talk about Business Culture than about ‘Lean Culture’ because for me lean is not the aim itself. The aim is the whole Business with all of its facets also including its strategy. And lean or any other business process improvement methodology is a part of the strategy and culture of the whole Business. If some pre-defined actions become a culture (or habit) then they are obvious but till then they must be enforced by the stakeholders of the company. Because a business culture (or lean culture as a part of a larger business culture) may become bad and jeopardize the integrity of the company, it is very important that there is a clear strategy behind the whole process and that it is enforced. Because it is important that we develop a good business culture and not a bad one, there must be some well-defined best-practices being defined in this field. Best practices about e.g. how to implement lean practices in an organization. It is possible that each company develops her own lean implementation program but this should happen according to some best-practices (Standardized Lean Implementation Plan or SLIP). See more about this subject in my book “Strategic Business Improvement Based on LEAN and ISO 9001 in Office/Service/Business Administration”. Each company which wants to introduce lean, or any other business process improvement methodology, has already a business culture in place (good or bad). The task is to merge the lean culture to that of the existing one in order to improve the business. The strategy to do this depends on the existing business culture of the company. Each company should define an implementation which fits to the existing business culture! If you choose a wrong implementation path the whole transformation may fail. An implementation strategy which works for one company may not work at all for an other company! How to assess that a culture is good or bad? In order to be able to say that we have a good or bad business culture we need to be able to assess this in a company. This could be done e.g. by the combination of a specially designed questionnaire and KPI’s (key performance indicators). Such an assessment could also be standardized in order to be able to apply it in different companies. One way to do this is by auditing business processes and the business hosting these processes, what is the subject of an other blog article. 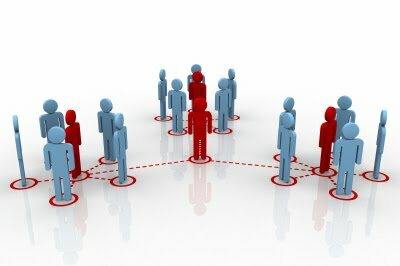 to discuss about these and other related subjects with your network! The approach of linking the ISO and the lean concepts is really very strong. You can find a lot of books on lean, but this is the first one which really describes in very concrete and clear explanations the basic concepts of the Lean approach. And not on a theoretical level, but on a step by step plan which you can start implementing right away. Finally an in depth step by step guide to BPI! A lot of useful tools and tips! I finally understand the lean methodology. Thank you! Wow, nobody explained me this before! Artificial Intelligence (AI) Software Toolkit for easy Training, Testing and Inference of state of the art machine learning models and for Creating Machine Learning Flow (several AI models working seamlessly together). Automatic Speech Recognition (ASR) Data Generator Toolkit. Text Normalization (Natural Language Processing). AI Text Recognition. Audio Editor. Transform Sample Rate, Channels, Suppress Noise, Cancel Echo, Change Tempo, Rate, Pitch Frequency, Remove Audio Without Human Voice. Can be used to create a short summary from any text document as simple text, PDF files, HTML files, etc. on your computer or on the internet. Uses Artificial Intelligence (AI) powered language models. Able to take into account specialized words specific to your discipline (law, medicine, chemistry, etc.). 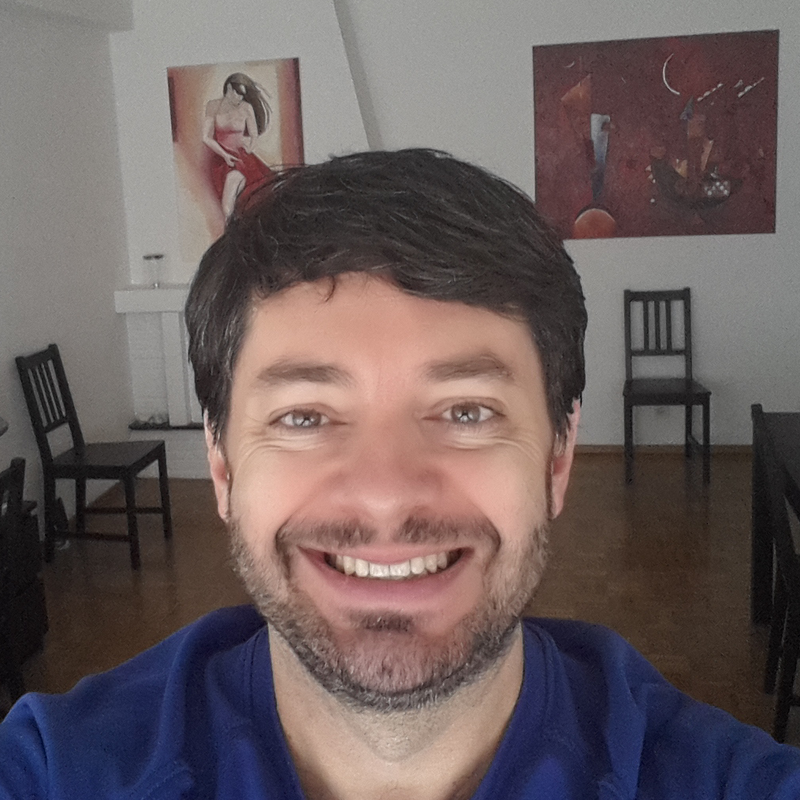 (C) 2016-present Zoltan Somogyi, AI-TOOLKIT, VoiceData, VoiceBridge, DocumentSummary are Copyright Zoltan Somogyi, All Rights Reserved. Zoltan Somogyi was graduated as an engineer in 1992. A few years later in 1997 he obtained a PhD from the University of Louvain-la-Neuve (UCL) in Belgium. In 2008 he obtained an MBA degree from the Vlerick Business School in Belgium. In the beginning of his career he was working as an engineer in combination with a lot of ICT/software and he also obtained experience in software development. Later he had several consultant and management positions in different sectors. In the last several years he is focusing on Business Improvement & Management and the application of Artificial Intelligence in different sectors. His experience on different levels and extensive education in combination with his broad ICT knowledge constitute to a very interesting mix. Zoltan has also many years of experience implementing CRM/ERP systems, internet/cloud based software systems, websites, web applications, business rules automation with software, Artificial Intelligence systems, etc. 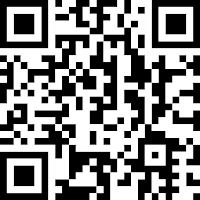 Please use LinkedIn (phone number and email available) or the contact form to the right.